Traditional advertising methods have become less effective. We’ve become so accustomed to them that we ignore ads that stand apart from content. The problem is that many platforms, such as websites and magazines, need advertisements in order to remain in business. To help with this, they’ve adjusted how advertisements are presented. Many of the world’s largest platforms have moved to native advertising. In this article, we’ll look at native advertising, see why it works, and learn how to implement it. Native advertising is a type of paid content where the ad experience fits naturally with the user experience of where it’s placed. In other words, it looks like the normal type of content that you’d expect to see on any given platform. It’s a way of monetizing a content feed. In a magazine, they look like magazine articles. On a website, they look like website articles. They can be placed on the homepage within content and open on the same website, or as suggested articles at the end of an article which opens to a different website. In movies and television, we’ll see actors using the products or have the products sitting in the background. They’ve even gone as far as demonstrating how a feature works in a Toyota Prius or a Microsoft Surface. This isn’t just sponsorship, like a commercial, it’s part of the show itself. 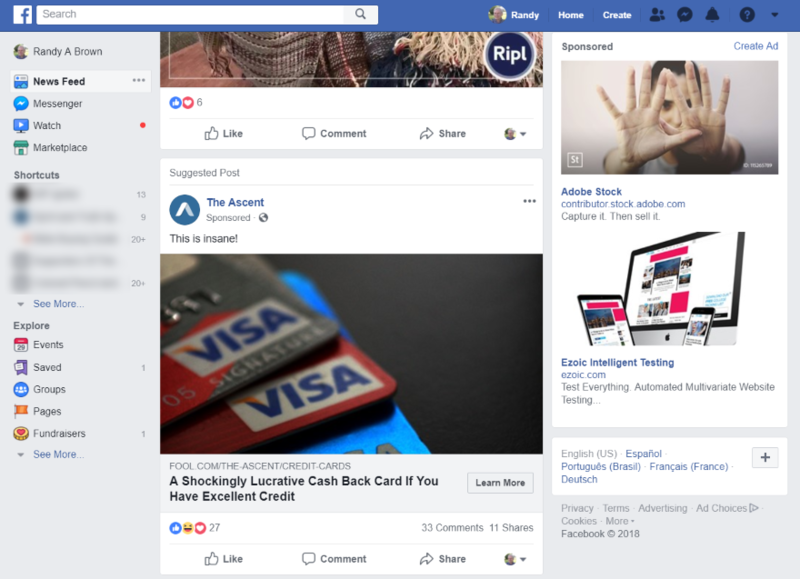 Social media and search engines don’t actually produce editorial content, but the ads are presented in the same way as content that’s native to those platforms. In social media, they look like the type of content that you’d see on that social platform. On Twitter, they look like Twitter posts. On Facebook, they look like Facebook posts. In search engines, they look like search results. Here’s an example from weather.com. 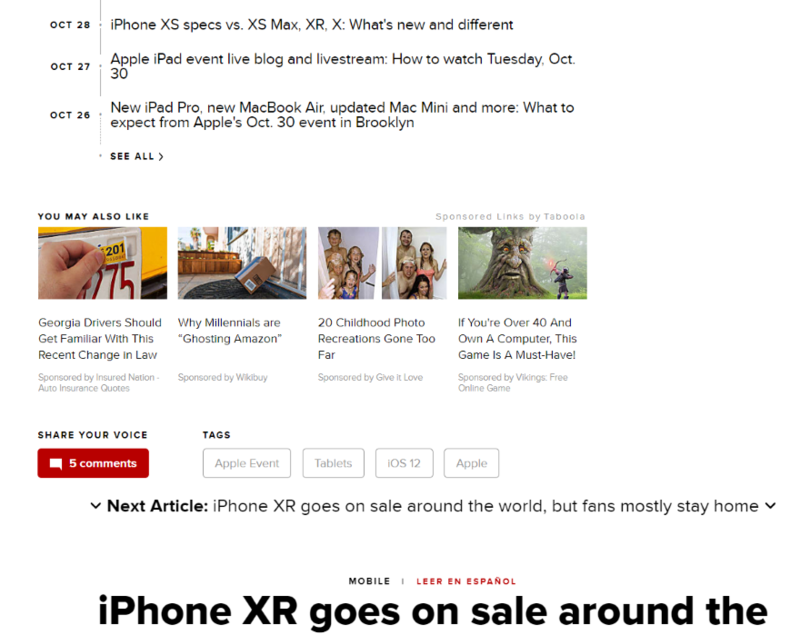 Sponsored content is placed at the bottom of an article, under a section that shows the most popular content, and looks as if it were part of the website’s content. 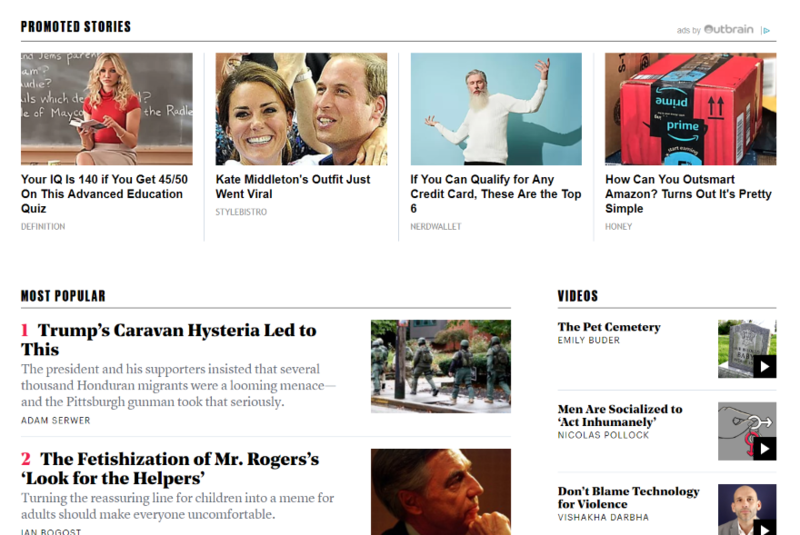 The Atlantic handles promoted stories in the same way, but this time it’s placed above the most popular content. When you click on a promoted story you’re taken to another website. 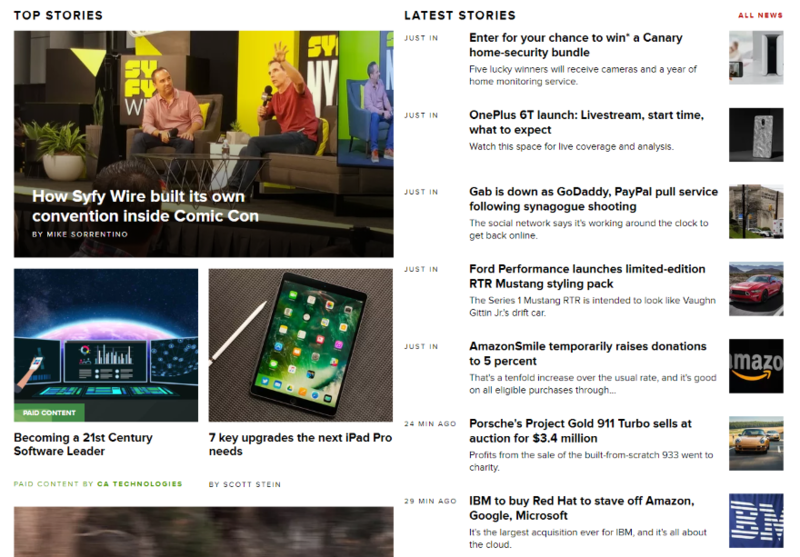 Cnet places paid content within the homepage so that it looks like one of their articles. Cnet also uses sponsored content at the end of the articles. This appears under the article just above the social sharing buttons for the article. It looks like related content on the website, but it actually takes you to another website to see the content. Here’s an example of a paid post on the New York Times website. When you click on it you’re not taken to a new website. Instead, this article is actually on The New York Times website. This is called Branded Content. Here’s the article itself. 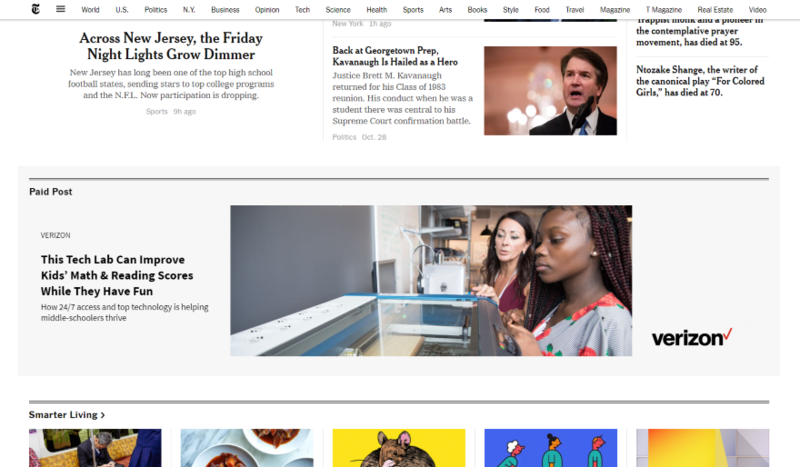 It looks exactly like The New York Times content. This type of branded article also appears in printed magazines and newspapers. In search engines, the native ad is placed at the top of the search results so that it looks like one of the results. It’s marked as an ad, but that doesn’t stand out and it’s likely that the first result will get the click because it’s probably what was searched for. In this example from Facebook, the ads are placed within the stream of content and look like normal posts. Native advertising has been shown to be more effective than regular banner ads. Native ads are seen by 25% more consumers than banner ads. Purchase intent is 18% higher with native ads than banner ads. Using neuroscience, Nielsen and Sharethrough discovered that native ads are seen twice as often as banner ads on mobile devices. The main reason native advertising works is because they don’t look like ads. They look like normal content. It’s non-disruptive and we don’t automatically ignore it. It doesn’t shout “I’m an ad. Ignore me!” Another reason is that they’re made to look interesting. The standard types of advertising often get ignored. We’ve seen so many banner ads that we have ad-fatigue. We’ve stopped noticing them. When we know something is an ad we can become blind to it. We stop looking at sidebars, popups, advertising sections of magazines, and even the ads on videos. Native advertising looks and acts like normal content. It’s integrated into the content feed rather than standing apart. Readers don’t have a reason to ignore it. As long as the content is relevant and interesting consumers want to engage with the ads even though they know they are ads. One thing to be careful of is consumers might not realize they’re reading paid content. Without some sort of notification, they might not realize that a link that’s provided for them to click on is actually a paid advertisement, or that a paid article on your website is not the opinion of your website. The FTC (Federal Trade Commission) and the IAB (Interactive Advertising Bureau) have regulations in place that would identify advertisements as paid content so consumers are not deceived. Although native ads integrate into your content they still need to be easily identifiable as advertisements. The trick is to find the balance between the ad looking like content while remaining identifiable as an ad. This can be accomplished through labels, buttons, icons, etc. as we saw in the examples above. Native advertising involves pay-per-click models, content placement strategies, etc. They’re built from metadata such as the URL, description, headlines, thumbnails, etc. Programmatic native advertising takes this even further and lets you target native ads to specific consumers in real time. This lets brands optimize their ad-spending and ROI (return on investment) by auctioning native ads with RTB (Real Time Bidding). With programmatic native advertising, the Supply Side Platform (SSP) sends bid requests when a user visits a website. The Demand Side Platform (DSP) then bids for the ad on behalf of the advertiser. The SSP then selects the winning bid and configures the native ad using a template for the website or app. Programmatic native advertising increases conversions because the ads are better targeted to the consumer. Fortunately, WordPress has many tools and resources to help implement this type of native advertising. Here’s a look at a few tools for the web in general and a few that are specific to WordPress. 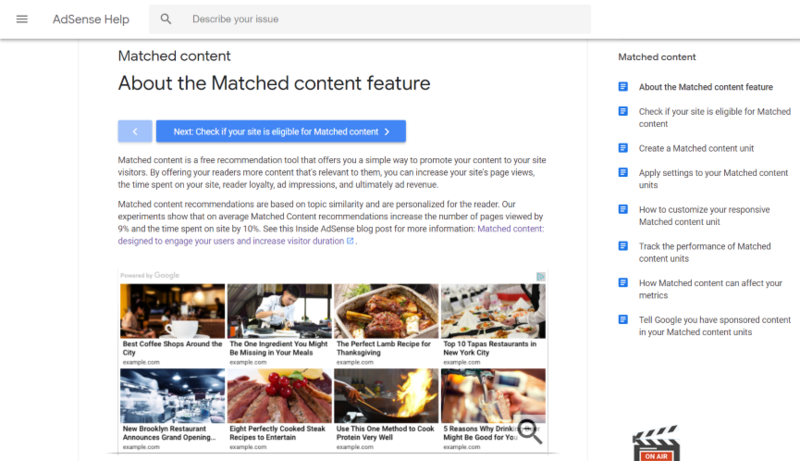 Matched Content is a feature of Google AdSense that lets you create a section of recommended articles for your pages and posts. They can include your own articles and sponsored content. When you mark the articles as sponsored content (using a meta tag), Google will automatically place a sponsored content notice on those articles. Advanced Ads is an ad manager plugin for WordPress that lets you create and display unlimited ad units, and rotate them, schedule them, and set an expiration for them. Target ads based on content and user groups. An add-on lets you sale ad-space on your website. 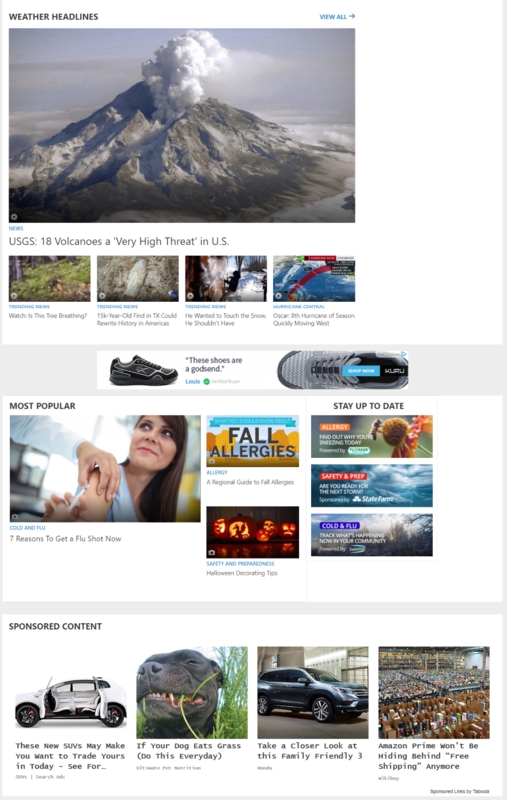 Taboola is a content network that’s designed to promote high-quality content. Place sponsored content and sponsored video within your website, apps, newsletters, etc. You can personalize the user experience. The platform includes lots of help and resources including blogs, e-books, webinars, etc. Outbrain is an advertising platform that creates personalized feeds for your website. It includes editorial, sponsored, and partner content. You have full control over the content that displays. You can shape traffic and displays ads based on lookalike audiences. It includes advanced reporting features. AdSanity is an ad management system for WordPress that lets you place self-hosted and network ads on your WordPress website. It’s a lightweight ad rotator plugin with lots of publishing and display options. It also keeps statistics on clicks and views. Even though ads in sidebars and on other places within websites have become less effective, you can still successfully implement ads on your website by utilizing native advertising. Native advertising looks like normal content and can capture your reader’s attention, but at the same time it identifies itself as an ad so they can ignore it if they want. Native ads are seen rather than ignored, which is exactly what you want for ads on your website. We want to hear from you. Do you use native advertising? Let us know about your experience in the comments. A very informative article for everyone. Excellent article!, I am studying the world of “Affiliate programs” in depth and this article is a variant. It is interesting how to advertise in a “Subliminal” way, Thanks Randy for this contribution, greetings from Venezuela. Good, comprehensive, well-illustrated article. Native advertising, as a Call-To-Action inserted in our weekly community column and linked to an advertorial, works very well for our advertisers, and this combination is our major advertising revenue source. This article is very informative. It has opened my mind and I will have to explore the possibilities of using native advertising. Native ads are definitely the way to go! Amazon also has native ad widgets that have an awesome click through rate compared to their banner ads (at least in my experience). I had no idea Adsense offered the matched content ads though! Thanks for the great resources. Thanks Nicole! I’ve been looking at Amazon’s ad widgets. I’m interested in native amazon ads as well. Can you share a bit more about how you’re incorporating it with Divi etc etc? So basically they’re misleading users, therefore conversions will be poor? Native Advertising is useful not only for advertisers, but also for users, as they truly correspond to their needs. Win-win! Great article, thanks a lot! If I want to help my customers to advertise naively, what platform do you suggest? So far we used Google Adwords or Facebook Ads. Is there anything far small business (=small budget) advertising? excellent article, and obvious you’d researched very comprehensively. This is interesting to me as I completely ignore native ads. I guess others don’t but they don’t work at all for me. I’m actually more annoyed by them than regular ads because I feel like someone is trying to trick me. Anyone else? I certainly agree with you. Nowadays when there is so much misleading information on the web, native advertising is something that in my opinion should not be used by serious publishers. When I´m visiting (as a consumer, as opposed to web designer) a legitimate site that has sponsored links that show “how to get rich in 5 minutes” etc. they lose all credibility in my eyes. It´s surprising (and horrifying) how many legitimate sites fall for the practice and don´t check what garbage is being published on their sites. It´s especially noticeable when visiting U.S. sites from a different country, then you very often get outright scam articles in your own language – and the original publisher propably has no clue, since they only know english. This is something US publishers in particular should be careful with, if they are concerned about their reputation. I’m a Divi theme user in Senegal in west Africain. It will be good to have a video tutorial about the using of the best adertising tool with Divi theme. When about a video tutorial using D’ici theme ?